When I was a kid eating a dish specific to my region, city or state seemed so casual that I never imagined that there would be people who might not be familiar with these dishes. And so, when they looked at a piece of Bal Mithai with curious wonder, I proudly introduced them to this simple sweet from Uttarakhand. 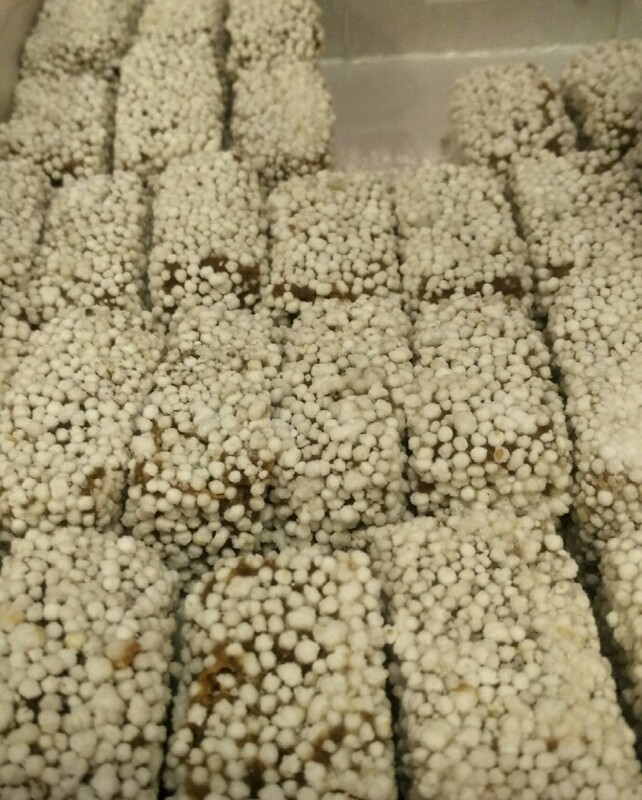 Bal mithai is essentially chocolate like fudge made with browned khoya (milk solids) and coated with sugar pearls. The sweet is originally from Almora in the Kumaon region of Uttarakhand. As a kid, I ate kilos of Bal Mithai every year when we visited my Nanaji’s village in Kashipur, a small town in Udham Singh Nagar district. The village falls in the Kumaon region of Uttarakhand while the Garhwal region covers Mussoorie, Dehradun, Haridwar and other areas. 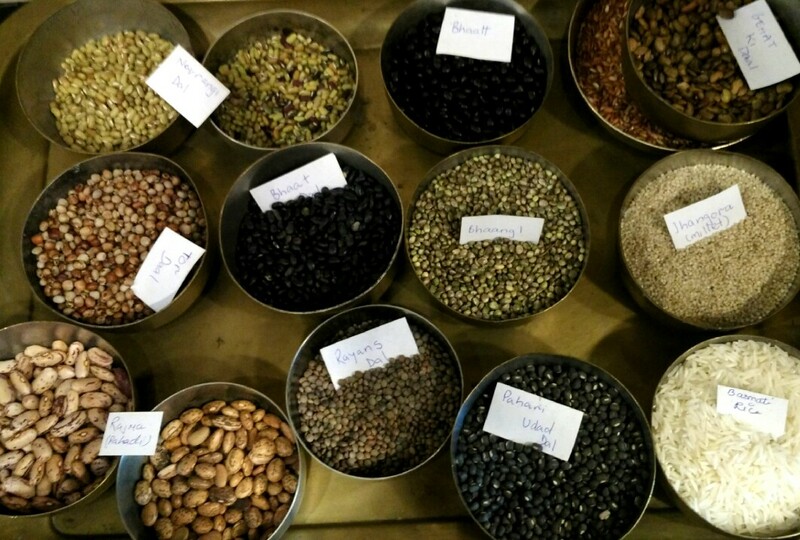 At APB Cook Studio’s latest Garhwali pop-up, there was a stream of nostalgia. Rushina Munshaw Ghildiyal – owner of the Andheri based studio – who is married in a Garhwali family, brought a bunch of local ingredients from her recent trip and decided to host a lunch along with a quick cooking demo. There was a bunch of curious eaters (including me) who wanted to learn about this cuisine which has largely stayed away from the mainstream food scene. The reason city folks don’t know much about the cuisine is because it’s difficult to find outside of homes. Usually, even local restaurants in the area wouldn’t serve a full-fledged Garhwali meal. Dals are an essential part of Kumaoni and Garhwali cooking, Rushina tells us as she stirs a pot of aromatic Pinni Ka Soup – sesame broth which is essentially made with pinni (sesame cakes which are left-over after extracting the oil). The robust soup was flavoured with Lehsun Ka Namak – dry chutney of salt, green garlic and green chillies; a standard condiment in Pahari kitchen which is sprinkled over almost every dish. There was Patudi – deep-fried pakodas made with urad dal and mustard greens served with Hing Ka Achar – sweet and tangy mango pickle with a strong flavour of asafoetida and Pahari Nimbu aur Til Ki Chutney – earthy and tangy. The pickle was a more familiar taste for me; from my mother’s hundreds of pickle recipes, this is one. Moving on to dals, Garhwalis majorly eat Gehet, Tor and Urad while Kumaonis prefer Bhatt. Urad is also a celebratory dal cooked during pujas and weddings, much like paneer in other north Indian states. Gehet Ka Phanoo is a thicker dal where dal is boiled and cooked with onion, garlic and ginger. Chainsoo is more watery and is made with roasted and ground urad dal, roasting gives the dish a more coarse texture. Local spices Jakhia and Bhang Seeds (no, they don’t make you high) make the tadka along with hing. All this is eaten with aromatic basmati rice with home made ghee. Chapatis and paranthas are usually reserved for breakfast and Mandua (finger millet) ki Roti is eaten frequently. On colder days there are stuffed paranthas topped with white butter. Then there is Thichwani – a typical curry made with potato as main ingredient. The potatoes for this curry are not boiled or chopped, but smashed. Rushina served us a version with pahari mooli. The vegetable preparations are simple and don’t use more than a few ingredients. We had a Chawlai Ki Subzi which were amaranth greens stir fried with onions and a few spices in mustard oil. There’s also very little or no use of tomatoes, this is because tomatoes are seasonal produce in this region. We finished off with bal mithai, Chaclat – slightly sticky fudge and Jhangora (traditional millet) ki Kheer, but not before packing a few bal mithais for the road. Check out more about APB Cook Studio’s Culinary Legacy series here.